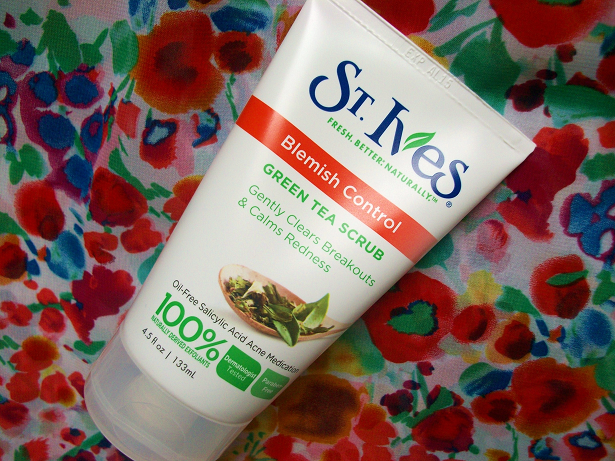 What it Claims to do: "From America's #1 scrub brand, this scrub with 100% natural derived exfoliants and skin-soothing green tea gently fights blemishes and reduces redness and irritation caused by acne. The result is clear and calm skin." 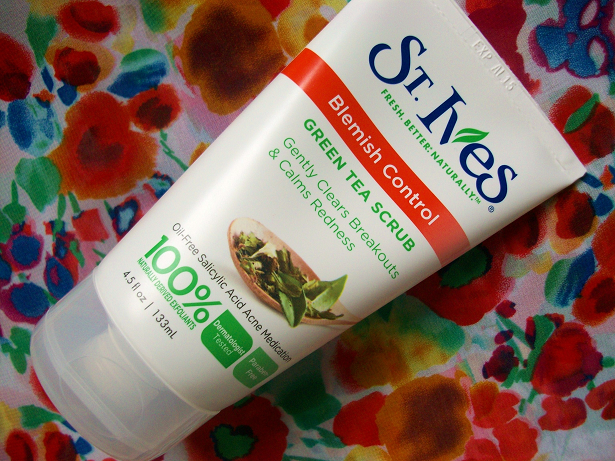 My experience: First off the texture of this scrub is kind of foamy when you get some out of the tube. The smell is amazing! This scrub is also really gentle on your face not like the apricot one at all (that one is more rough). 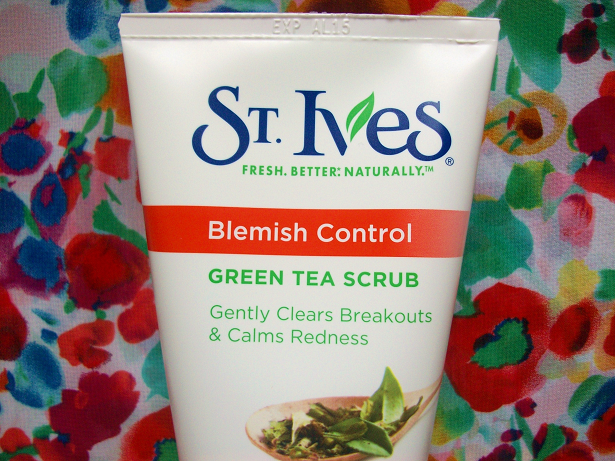 The first day I used this scrub my face felt smooth and soft also since using this scrub I've noticed that I have not had any pimples, spots, breakouts, anything! The only problem I did have was when I was washing this off my face it made my hands feel very dry but besides that I really love this scrub!. Would I recommend this to someone? Yes! 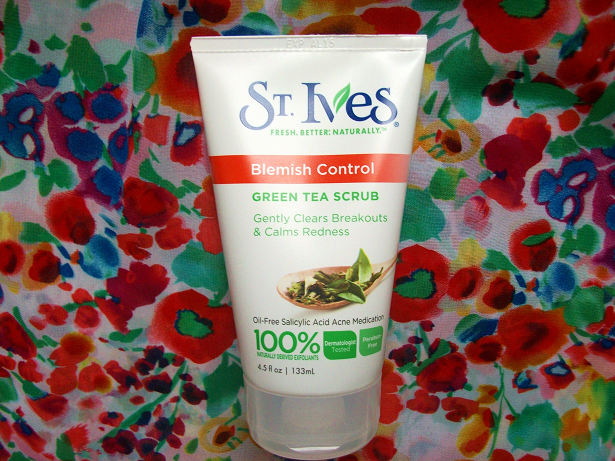 You can buy the St. Ives Blemish Control Green Tea Scrub here.